Short listed for the inaugural Michel D�on Prize for non-fiction. The topics investigated include: politics, religion, historical memory, European conflicts, Anglo-Irish patriotism, agrarian agitation, the tumultuous decade of the 1790s, and the rise of Daniel O�Connell. Extensive use is made of contemporary song and verse preserved in literary manuscripts from the eighteenth and the nineteenth centuries � an essential source that has previously been neglected by historians. Elements of both continuity and change are identified, and the evolution of popular attitudes is traced over the hundred and fifty years from the Williamite conquest to O�Connell�s campaign for Repeal of the Union. 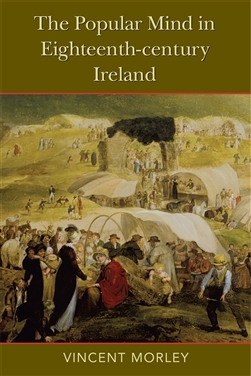 The texts of eight important works composed between 1691 and 1830 are presented in full � seven of them translated for the first time � to allow those who are unable to read the originals an opportunity to assess the temper of Irish popular culture during a formative period in the country�s history. This book substantially revises, extends and updates the view of eighteenth-century Irish literature that was presented in Daniel Corkery�s classical account, The Hidden Ireland. Irish historiography is always, thankfully, a contested field. One of the more neglected corners of that field is the question of popular culture. There have been some books on particular aspects of this popular culture, usually in the form of essays garnered for publication around a particular theme, but rarely a monograph by one mind bringing a unified approach to bear on its subject. This is one of those rare books. This is an extremely valuable contribution to Irish historical scholarship. Its basic premise is to argue that much of Irish history is based on Government records and on official sources and ignores the ordinary people. It is difficult to ignore this contention. While much of history is written ‘from above’, this work seeks to take its history ‘from below’. It will raise a stir, despite its own quietly-stated contentions. This work is a considerable contribution to studies in Irish history in the crucial centuries covered by the book. The work is equally interesting to those concerned with literary history and the contextualization of manuscript and related literature in Ireland in the period under review. The work represents a substantial amount of spadework for which historians will be grateful and which should energize those involved in 'Irish studies' in a more general sense.